OK! So Revolver Magazine actually did this piece and it’s not done here on the Irish Metal Archive at all. But it’s still an interesting read and a good incite into the meanings behind the tracks on “Where Greater Men Have Fallen”. “Where Greater Men Have Fallen” is the long-anticipated new studio album from Ireland’s most revered metal craftsman, PRIMORDIAL. Released via Metal Blade Records last month, the record debuted at #24 on Billboard’s Top New Artist Chart, #43 on Billboard’s Top New Artist Chart, #104 on Billboard’s Independent Albums Chart, and offers some of the band’s deepest, most conceptually profound and wildly epic compositions to date, continues to floor fans and critics worldwide. In commemoration of its release Revolver Magazine brings fans a thorough track-by-track breakdown of the offering as told by vocalist Alan Averill. PRIMORDIAL will bring their sonic savagery to stages throughout Europe in the coming weeks with additional live ceremonials to be announced soon. “Where Greater Men Have Fallen” was released in North America on November 25th, 2014 via Metal Blade Records. 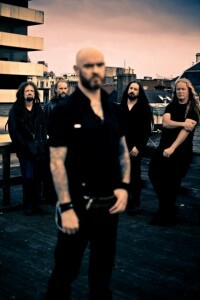 Visit metalblade.com/primordial where you’ll find a lyric video for the title track as well as a host of ordering options. The record is available on CD and vinyl in various color variants.